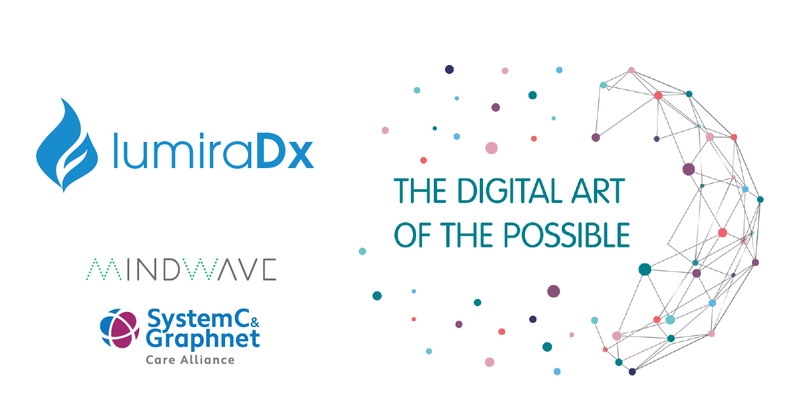 Lumira DX, Mindwave Ventures and System C & Graphnet Care Alliance are backing a major event in Bristol this week, bringing together NHS and local authority professionals, academics and technology companies to explore collaboration opportunities and shape the digital future of our health service. The Digital Art of the Possible event is set to take place at Ashton Gate Stadium on Wednesday 4 October and is being organised by the West of England Academic Health Science Network (AHSN). Digital Art of the Possible will showcase digital innovations aligned to the needs of our regional health and care community, alongside a series of interactive workshops, demonstrations and group discussions, exploring the best way to evaluate digital healthcare technologies and accelerate their successful adoption into practice. The keynote speaker will be Deborah El-Sayed, Director of Digital & Multi-Channel Development NHS England, while other speakers include: Dr Mike Taylor from the Connecting Care programme; Gary Leeming, Director of Informatics at Greater Manchester AHSN; Dr Charles Lowe from the Digital Health and Care Alliance; and Dr Indra Joshi, National Clinical Lead for Digital Experience at NHS England. Read the full programme here. Announced as the event’s gold sponsor, LumiraDx is a global health technology company delivering safer, more effective and cost-efficient, diagnostic-led care. Their unique integration of health and point-of-care diagnostic data, smart technology platform and supported self-care programmes delivers dynamic, digital solutions that meet the demanding healthcare requirements of today. The event’s silver sponsors are Mindwave Ventures and System C & Graphnet Care Alliance. System C & Graphnet Care Alliance offers integrated IT solutions to the health and social care market in the UK, providing solutions enabling the integration of services across whole care communities. They are working together with the NHS to transform the way services are provided and to bridge the gap between the acute Trusts and the wider care community. Mindwave Ventures design, develop and run digital services in healthcare and research. With the needs of the user always at the centre of service design, they have delivered various projects to NHS trusts and charities, including web applications and smartphone native apps for users including patients, clinicians and academics. Janina Cross, Chief Digital Information Officer at the West of England AHSN, explains the rationale behind the event: “The digital revolution is fully upon us, bringing with it an exciting array of opportunities to support the future health and wellbeing of the population. “But the digital innovations we are adopting in our personal lives often far outpace those offered in health and care settings. This has to change! Moving to a digital future is sometimes easier to say than do, and working out the best way to make the most of the myriad of digital opportunities available isn’t always straightforward. “At the West of England Academic Health Science Network, innovation is at the heart of our mission to deliver a modern, constantly improving healthcare system for the region. We are the connectors across organisations and sectors, harnessing the enthusiasm and passion of frontline health staff and unlocking the potential for health, commercial and third sector innovators to improve services, patient outcomes and save money.